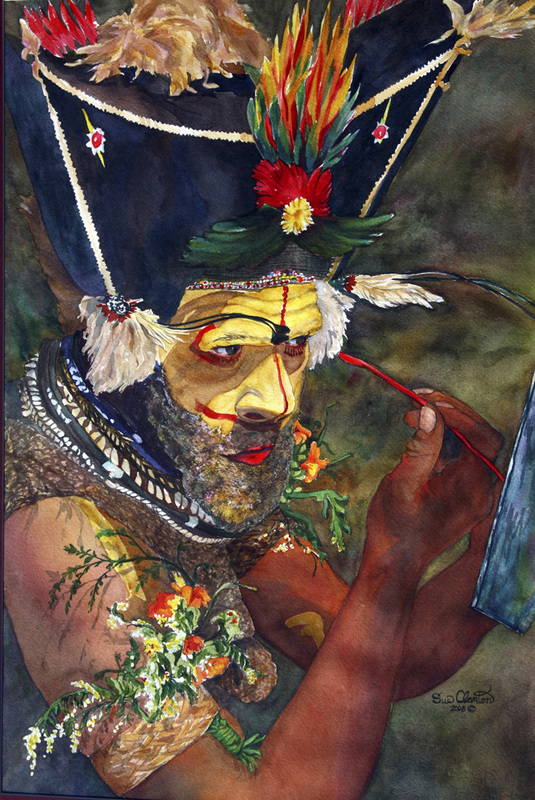 In preparation for their ceremonial dances, the Huli Wigmen visit the forest to gather flowers and leaves to adorn their wigs of human hair. They express pride in themselves and their culture with each step of their dance. I tried to capture the excitement of preparation for this display of masculinity. Convallaria majalis (Lily-of-the-valley) Myosotis sylvatica (Forget-me-not) Polygonatum multiflorum (Solomon’s seal) are three spring flowers across the street from me. My friend Lauren’s majestic old tree shelters an established bed of shade plants – a delectable springtime display of fragrant lily-of-the-valley, stately solomon’s seal, timid forget-me-not. 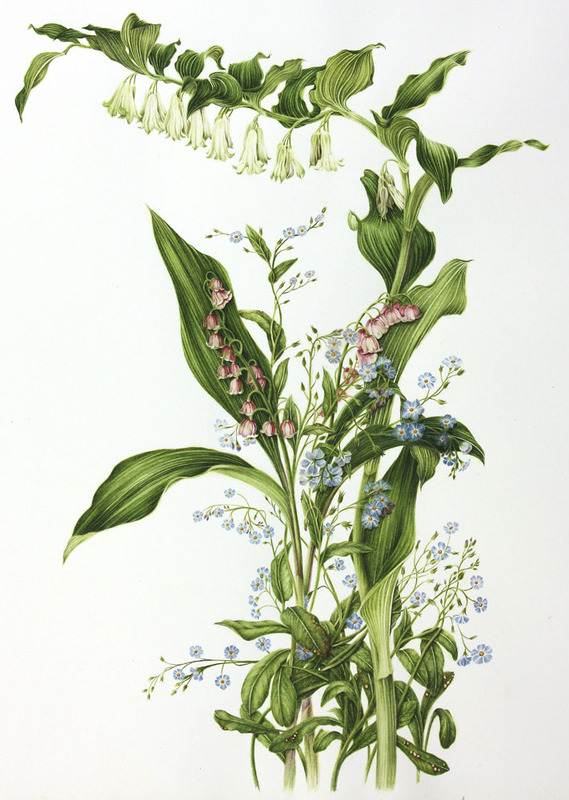 The lily-of-the-valley, a long-time candidate for inclusion in my portfolio, resisted being a sole specimen, free from the embrace of its companions! Therefore, the trio of bedfellows entered my studio for a group portrait. Following time-honored botanical convention, I illustrate only single individual plants; but since these particular spring flowers grew clustered together, roots intertwined, inseparable, like siblings or close friends, I hadn’t the heart to sunder them! 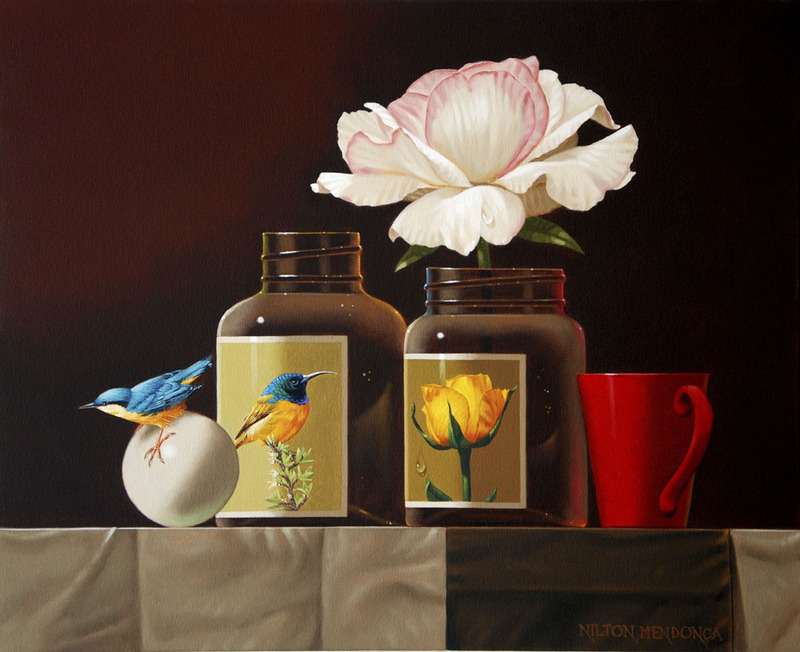 I am often inspired by the 17th Century Dutch still-life painters and frequently use dark shadowy backgrounds for my paintings. For this painting however, I decided to lighten up. 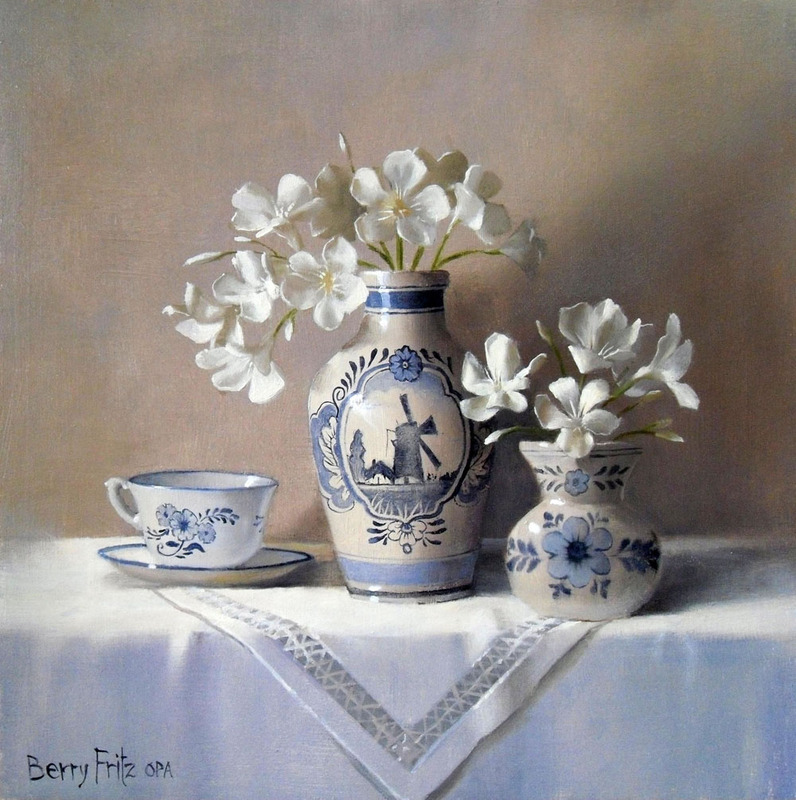 I was aiming for a balanced composition that served to showcase the delftware ceramics and at the same time celebrate the flowers. 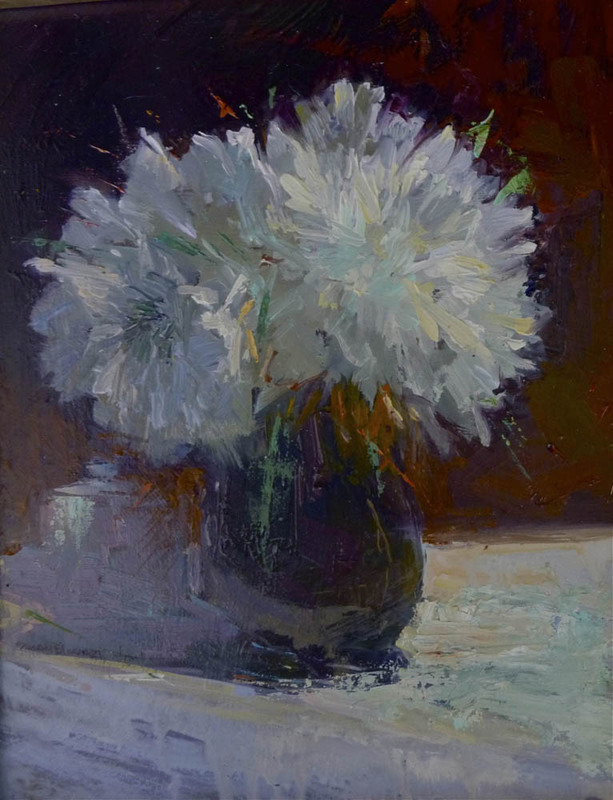 All the objects in the painting have an inherent delicacy, especially the flowers, so I thought they would be best served by a subtly neutral color scheme.